Remember this from my last musing on the “thing” of the book? Excitement is not exactly what I found in the marginalia of my Reconstructing Aphra: A Social Biography of Aphra Behn. Inside the cover I found this: “A.J. De Armond 1980- review copy”. Then a note to the future readers of this book from A.J. : “Borrowers: please don’t confuse me by adding further notes to mine.” I’m trying to hear the tone of this message – is it a polite plea or a bossy command? A few days after this posted, I received an email from my friend Jean – subject line “OMG.” At first she thought it a coincidence that the initials I mentioned – A.J. DeArmond – was the same as her friend’s. Then we realized that she had given me that very book. How could I have forgotten? Finally, I am sure her inscription and notes are in pencil, not pen, in the tiniest writing imaginable. I have many of her books with those notes. And I am sure the inscription was a warning. She did a lot of book reviewing and her specialties were 18th century and American Lit. I am sure she saw that book as a teaching tool whose notes needed to be preserved for her future efforts. This email from Jean made me smile all day long. 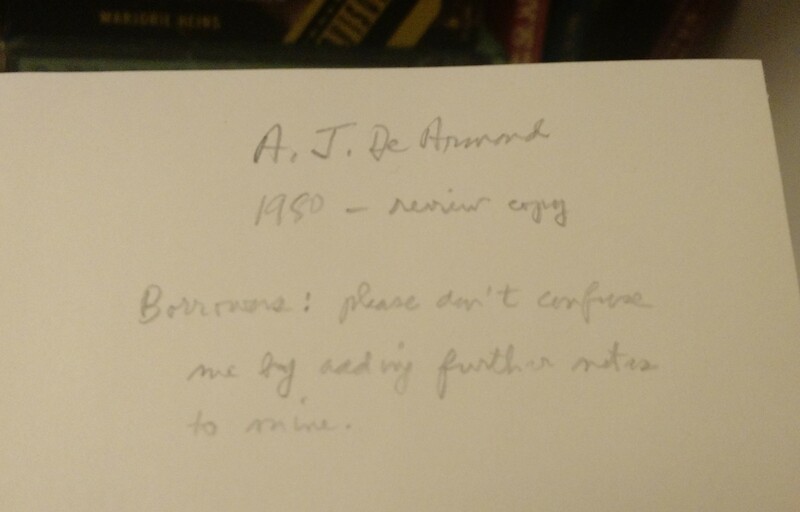 This book, which had been read and written in by Professor DeArmond had traveled from her hands to her shelf to Jean’s to mine within the span of about 30 years. I had put it on my shelf without reading it, but the book’s life is one of resilience and patience. An article remembering the professor after her death explained that she was the first woman to become a full professor at the University of Delaware. She went on to receive numerous awards in scholarship and teaching, and she served as a Fulbright lecturer at the University of Munich in the 50s. She also taught in England, Australia, and China. She lived a full and rich life of teaching and scholarship. Indeed she was a pioneer woman. There I was, holding this scholar’s book in my hands – all the knowledge, the history, and the experience that was in the hand that scribbled these tiny writings in pencil. 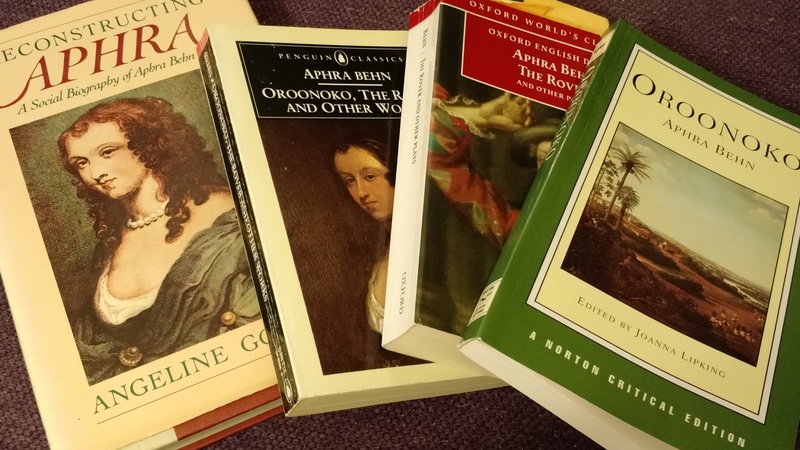 Speaking of pioneer women, Aphra Behn is often cited in English literary history as the first woman to earn a living by writing. She is part of the canon in the study of the “rise of the novel,” and her Oroonoko and The Rover are common readings in any English major’s reading list. So the other night, I flipped through my own three books of Behn’s writings. In the Norton edition (green cover), I came across an article written by Robert Chibka. What? Chibka? Professor Bob Chibka who was my favorite English professor at Boston College? The guy responsible for my scholarly interest in the eighteenth-century English literature? Yup. The same professor who gave me two very good pieces of life advice: 1) If you want to be an academic, marry an accountant – which I did. 2) No, your writing is not good enough to get into an MFA program in creative writing (sorry, but not sorry) – boy am I glad he gave me such brutally honest advice. Okay, so it may seem a bit hokey to put stock in what seem like coincidences but I don’t think we can deny the connections that the material book makes simply by existing and being passed around. And the book’s journey can tell us a lot about its own material life, the lives of its previous readers and owners, and the literary work that’s inside the book. How about one more story about a book’s travels? 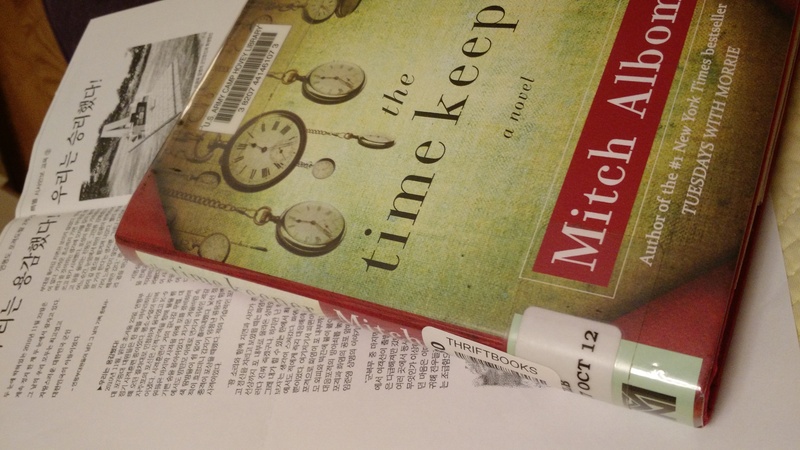 A couple of weeks ago, I picked up my copy of Mitch Albom’s The Time Keeper which was among a large bulk of books I had ordered from Thriftbooks.com. I noticed the bar code sticker from the library of Camp Hovey. When I opened the book, a piece of paper fell out and it was a photocopied magazine article written in Korean. Naturally I googled “Camp Hovey” and it turns out Camp Hovey is an American military base in South Korea. And yes I am from South Korea. Is your mind blown yet? Let the magical journey of books sink in, dear readers. 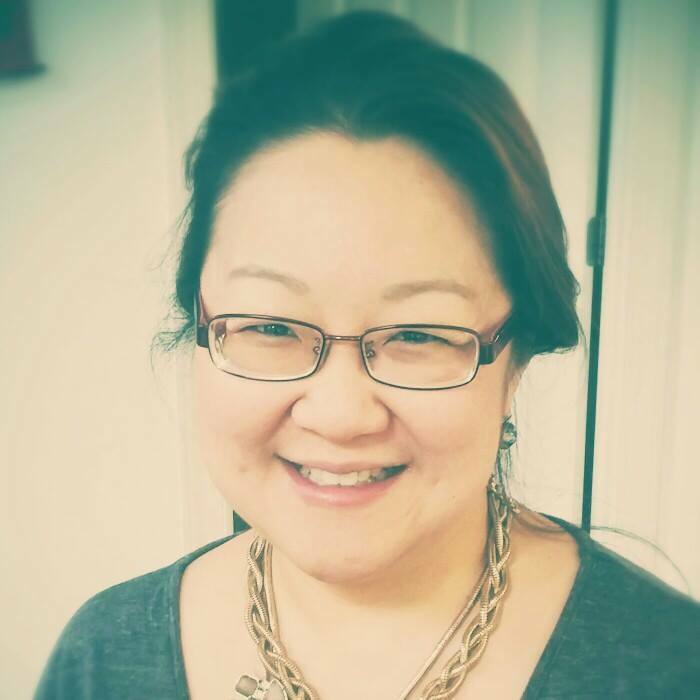 By Laura Yoo in Mana's Musings on August 13, 2015 .